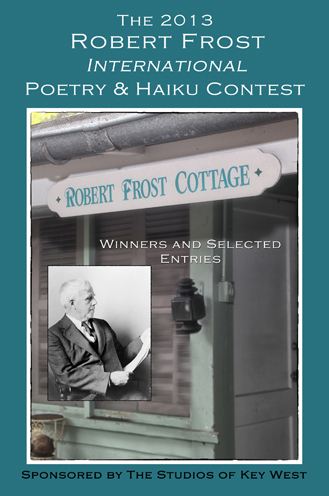 Key West’s Heritage House Museum created the Robert Frost Poetry Festival and Contest in 1994, based on Frost’s visits to the cottage on its premises, now named after him. 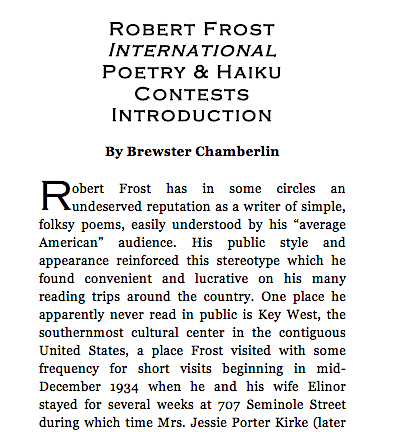 In 2010 the administration of the Robert Frost International Poetry and Haiku Contest event was turned over to The Studios of Key West. For the first time, the annual winners and selected entries have been collected into one volume, available both as an ebook and paperback edition. Here are more than 150 wonderful poems and haikus by some of today’s most talented poets.